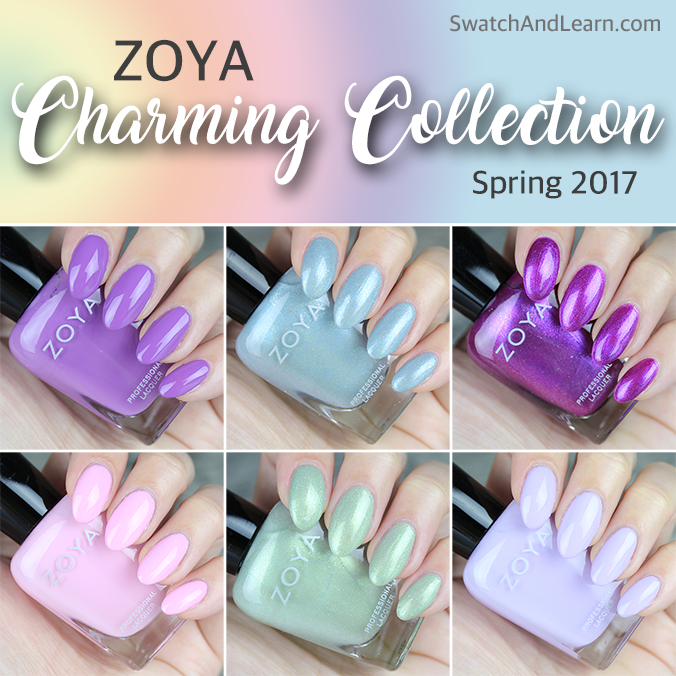 As polite as a curtsy in a 1900s ballroom and as captivating as a graceful ballerina’s fouetté, in comes the Zoya Charming Collection for Spring 2017! Surprisingly, although I’m a green lover, the purples (Abby, Tina and Millie) stole the show for me. Abby is a great transition hue because the whisper-soft lavender is white-based and wintry, yet has enough saturation to keep the Easter bunny hopping. Millie is the showgirl in Vegas with an extravagant sequin mini dress accented with oversized feathers! In every lighting condition, this shimmery plum catches the light and takes centre stage without hesitation. Amira is reminiscent of the scales on a mermaid’s tail that shimmer softly yet with gusto as the sun kisses them with summer dreams. Jordan is a bubblegum pink that has a princess personality. If it was a person, it would wear a seven-layer tulle ballgown with satin corset to the prom. Let’s talk about the formula. It’s not always just about the colour. Substance versus beauty. Even though I’m willing to put in more effort for a tricky formula if the colour is a showstopper, the less effort I need to exert, the better. I’m happy to report that the formula for all of these shades is great! 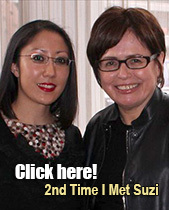 They are easy to work with, and you can build up opacity quickly. I applied a thin first coat and then a generous second coat. The cremes are solid at this point. For the shimmers, you could apply a third coat if you want to intensify the colour, but I was very happy with the second coat. See the rest of this post for a closer look at each swatch, as well as bottle shots and the official press release (to give you details about the colour story). 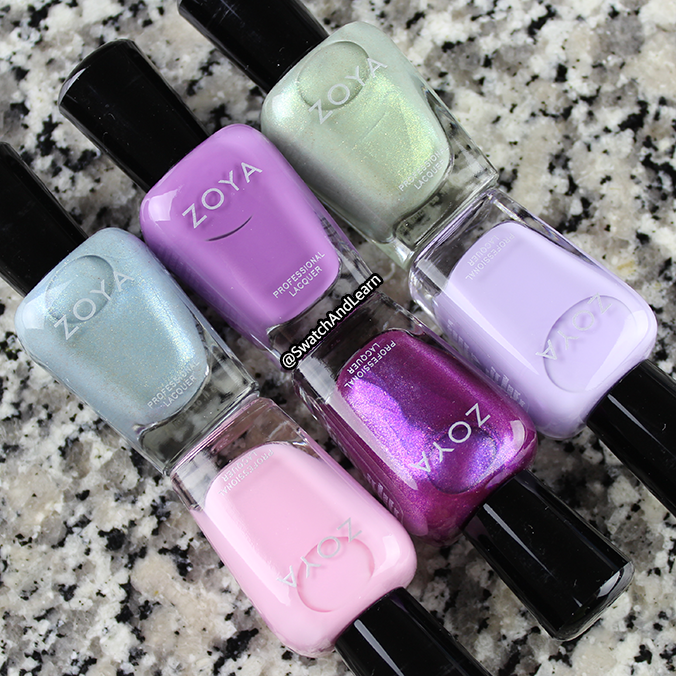 This entry was posted in Nail Polish Swatches & Reviews, Press Releases & Promo Pics, Product Reviews, Quick Look and tagged Zoya, Zoya Abby, Zoya Amira, Zoya Charming, Zoya Jordan, Zoya Lacey, Zoya Millie, Zoya Tina on March 15, 2017 by Mary S..
Disclosure: This post contains press samples provided by PR. 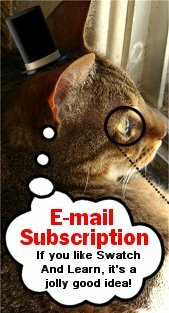 This entry was posted in Quick Look and tagged Zoya, Zoya Abby, Zoya Amira, Zoya Charming, Zoya Jordan, Zoya Lacey, Zoya Millie, Zoya Tina on March 14, 2017 by Mary S..